Christmas is one of the best holidays of the year. It’s when we spend time with the people we love and let them know we care with a little special something. Have you thought about Christmas presents for the women in your life? What are the best ideas for Christmas gifts for her? If you want to send a special message to a friend, a girlfriend, a sister, or someone who’s important to you, choose Nomination jewellery. 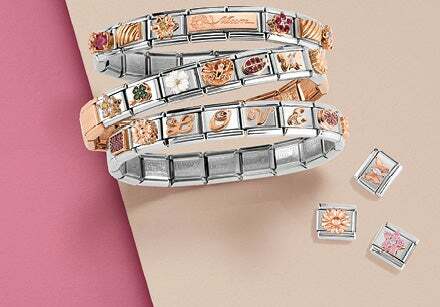 Our trendy designs and high-quality materials define our bracelets, necklaces, rings and earrings, which are always Made in Italy. As far as Christmas presents for her go, take a look at the gorgeous bracelets from the Extension Messages Collection, made with stainless steel and gold detailing: choose from among those engraved with charming phrases, or select a stretch bracelet that you can customise with an engraving. Another great gift idea is bracelets and rings from the Extension Collection, which are personalised with an elegant gold initial. For a more glamorous friend, who is always ahead of the latest fashion trends and in search of sophisticated accessories, you can opt for a bracelet from our Gioie Collection, which, with its cubic zirconia stones, will make every outfit shine with elegance. Another truly chic jewellery collection, which is perfect for a Christmas gift for a special Her, is Wishes, which offers delicate creations made in silver, decorated with stunning little pendants for every occasion. For a truly special gift, why not choose Christmas-themed jewellery? 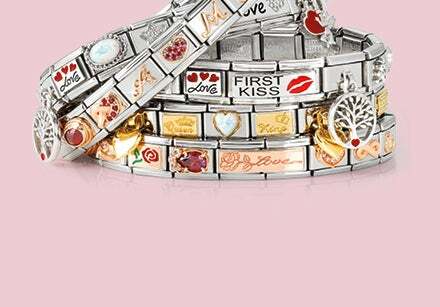 With the Composable bracelet collection and its many Links you can create a 100% one-of-a-kind Christmas bracelet. Next to a Charm of a coloured Christmas tree or a gold Charm engraved with “Merry Christmas”, you can add any Link you want to create unique Christmas jewellery. From Charms dedicated to family to those with heart and infinity symbols or precious coloured gemstones: create a customised bracelet and you’ll have the perfect gift idea for her! The Composable Collection has a lot to offer in the way of unique Christmas Gifts for sisters. Choose the bracelet base and personalise it with extraordinary Links for your sister, your partner in crime and in life’s many adventures. 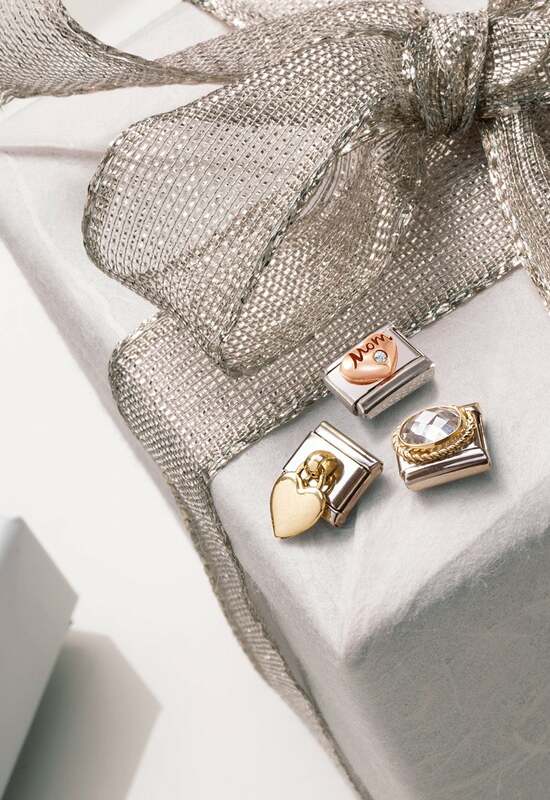 From the gold heart Charm with “Sister” inscribed in the middle, to sparkling Links with multifaceted heart-shaped gems available in a variety of colours, to Double Links in sterling silver with special messages. It’s a way to celebrate wonderful times spent with one of the most important women in your life and wish them the very best.